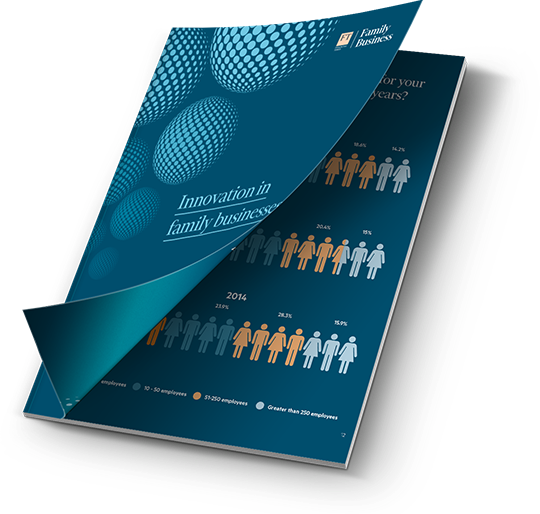 World-leading business news organisation The Financial Times commissioned Luminescence to create a new report exploring how family businesses approach innovation. Luminescence co-founder Anna Lawlor adopted the role of Editorial Director, creating the thought leadership content and liaising with the report sponsors PwC and partners at Kings College London. The project sought to understand how family businesses continued to innovate and grow through multi-generations despite academic evidence suggesting they typically invest less in research and development than non-family businesses. We worked closely with the Professor of Entrepreneurship and Family Business at Kings College London to develop suitable and academically robust survey questions. Once the survey data had been collated (via an independent research company), Luminescence provided data analysis and delivered a top-level presentation to all stakeholders of key themes, proposing how these could shape the structure and narrative of the Thought Leadership content. Luminescence produced the written content for the report, including statistical analysis. We also briefed The Financial Times‘ designers on the look and feel of the report, including data presentation. “Luminescence has led two recent projects for the Financial Times as Editorial Director – ‘Investing for Global Impact 2016’, and ‘Innovation in Family Businesses’. Investing for Global Impact 2016 was the third iteration of an annual report produced by the FT, while Innovation in Family Businesses was an entirely new report being compiled from scratch. Anna (Lawlor) grasped the brief for both very quickly and was very adept at working with all stakeholders on both projects, which can be very challenging. With the projects carrying substantial sponsorship revenues, and including contributions from high-profile figures, careful handling of contributors and commercial partners was also a key part of Anna’s role. Both reports have recently been published and have been extremely well received by the market and by their respective commercial partners. The thought leadership content was produced to a high standard first time, ensuring minimal amends and versions were required. We ensured the project was delivered against the pre-agreed time-frame, meeting all deadlines. The landing page for the thought leadership content can be found by here. All stakeholders were pleased with the finished report, with Luminescence receiving an invitation to pitch for further work.